In 2005, Steven Rinella won a lottery to hunt for a wild buffalo, or American bison, in the Alaskan wilderness. One of only four hunters that year who succeeded in killing a buffalo, he carried the carcass down a snow-covered mountainside and floated it four miles down a white-water canyon while being trailed by grizzly bears and suffering from hypothermia. Through this experience, Rinella found himself contemplating his own place among the 14,000 years’ worth of buffalo hunters in North America and the place of the buffalo in the American consciousness. American Buffalo is a narrative tale of that hunt. But beyond that, it is the story of the many ways in which the buffalo has shaped our national identity. 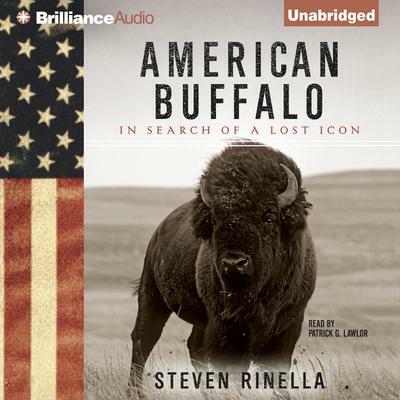 Rinella takes us across the continent in search of the buffalo’s past, present, and future: to the Bering Strait Land Bridge; to buffalo jumps, where Native Americans ran buffalo over cliffs by the hundreds; even to the Bronx Zoo, where legend has it a depressed buffalo served as the model for the American nickel. Rinella’s erudition and exuberance, combined with his gift for storytelling, make him the perfect guide for a book that combines outdoor adventure with history, science, and the natural world. And yet it also tells us as much about ourselves as Americans as it does about the creature who perhaps best of all embodies the American ethos.